'As long as we are still alive, we can have everything later, we can start from scratch.' My Nguyen, Kinglake. 'I hope to feel safe in every part of Afghanistan, not just in my room.' Sabrina Omar, Kabul. Kinglake had one day of disaster with far-reaching effects; Kabul has endured thirty years of war. 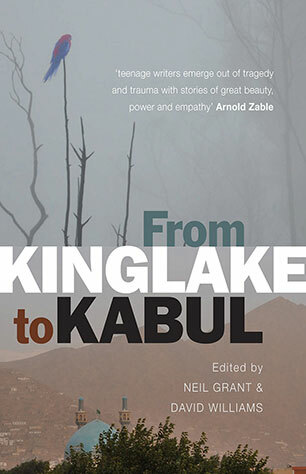 From Kinglake to Kabul is a collaborative anthology created by students from two schools connected by tragedy. In this collection of young people's writing, students from two vastly different countries share their stories of resilience, courage and hope. In doing so they illustrate the remarkable healing quality of words and illuminate what connects us as humans. This is not a book of remembrance or a book that desires to shock, it is a book about what is best about human nature. Neil Grant is a writer who lives in Cottles Bridge. David Williams is a teacher and writer who lives in Kinglake.